iPad lays flush in top of trade show counter for ease of use! 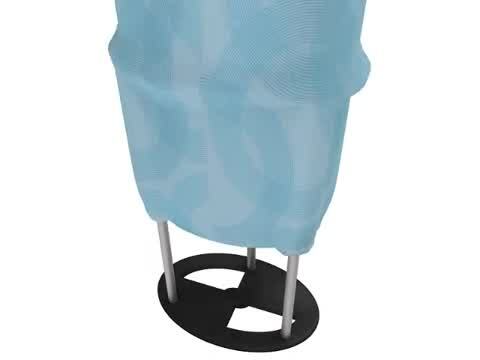 Black polyester stretch covering is neutral for various booths or environments! iPad counter fits into convenient carrying bag for transport between events! Magnetic overlay secures tablet within kiosk! 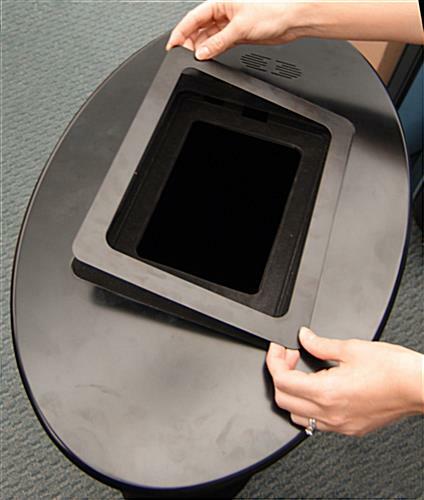 This iPad counter that can be assembled quickly is a great way to attract attention to your company or business. 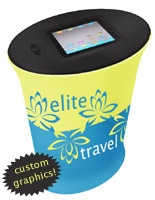 The kiosks are often used at tradeshows or conventions, providing area for prospective customers and clients to explore a digital presentation of your company. 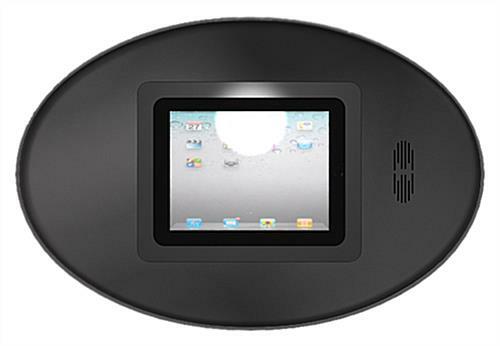 The enclosed iPad counter, also known as an interactive kiosk, is displayed by retailers of the popular tablet, to allow potential purchasers to "try out" the electronic device. Car dealerships can upload specs, images, videos or other information and provide a self-service information center for shoppers. Museums or art galleries can place the iPad counter that stands alone near exhibits to offer additional info about the artist or display. These are designed to encourage interaction with a company or service. 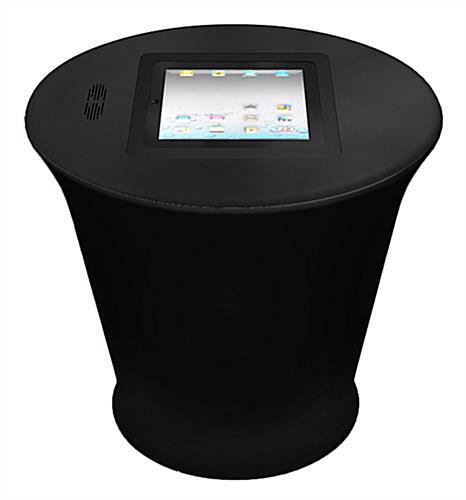 This trade show booth, black iPad counter brings one of the most technologically-advanced devices to the forefront of a business. 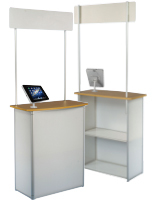 The stand incorporates the Apple tablet directly into the MDF countertop, allowing trade show attendees or other individuals to safely use it! A black fabric wrap hides the inner metal structure of the kiosk, creating a seamless transition to the black countertop. Once the tablet is placed within the recessed cavity of the stand and secured with the magnetic covering, there is a small hole to run a charging cord, as well as a hole leading to venting slots. These keep the electronic device cool and charged for hours of use. 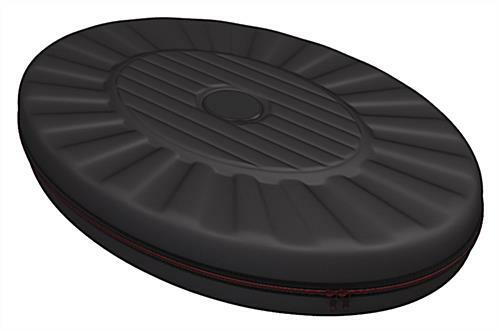 The display has a sturdy, stable base, but is rather lightweight and packs down conveniently into a 24" x 16" x 5" protective case. 23.8" x 38.6" x 15.8"
24.0" x 16.0" x 5.0"
9.6" x 7.4" x 0.32"